Kantu for Firefox - Feature Suggestions - Forum for Kantu Task and Test Automation and the free OCR API. The problem is given if you have multiple container tabs open for example 5.
at the 2nd or 3th tab. Depending on how many you have already opened once since you started firefox. This problem doesn’t exist with iMacros but I can’t use my csv files in the way I can with Kantu. It wouldn’t be problematic if I just have “reopen” the 10 Tabs manually but I would have to do this for more than 200 unique container tabs and that would be too time consuming. Tabs are already open and Kantu should cycle trough them depending on the linenumber it has read from the csv file. This will sadly result in the error mentioned above. I hope someone does have a Idea how to make Kantu work with the Container Addon for Firefox. In the way I intend to do. I think that is the problem, not the container addon. I am not sure about iMacros, but in Kantu you have to first open the tabs with a URL, and then you can switch between them if needed. 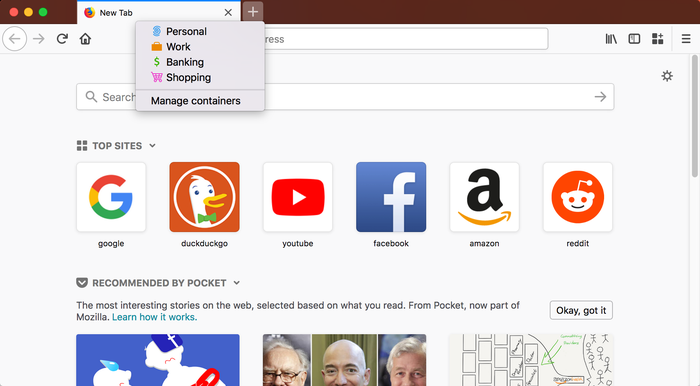 Surely this will work but won’t be able to create unique container tabs or open tabs that are already open. As you mentioned yourself. Since I still have my tabs “open” from last time when I start firefox I just want to go to the tabs that are already open. A command that would allow to go to the next tab would already be enough for myself. In this specific case iMacros works better and doesn’t have this problem. It would be awesome if Kantu will be able to handle this problem or specific task as well.